To someone whose become very surrendered, it would be understandable if the answer were... "I just go with the flow". That's great if you've arrived at that point. But I put it to you that there's also a risk of accepting anything goes, and that if this seeps into your consciousness, then that's not going to serve the journey of your soul, because it could keep pulling you back into the density of the Old Paradigm. As I talked about in the PARADIGM SHIFT film, we're living in two worlds right now, not one. In the Old Paradigm, all around you, you'll witness the efforting and struggling to maintain an apparently secure and safe way of living which conforms to the system. It's very dense, seeps into your emotions and thoughts, which then creates cicular feedback loops in one's psyche based on sense of lack: I need to have this to be happy; I need to consume that to feel content; I need to do this to be loved; I need to control my environment to be secure. And especially now as abrupt climate change denudes essential resources to feed the system, this sense of lack and the need to control is escalating. If you allow repetitive and unconscious control mechanisms simply to run and govern key aspects of your life, then the risk is to build fixed neural pathways in the brain, that then release neuropetides, which condition those feelings of lack into our bodily cells. The bodymind then craves the fulfillment of these loops, causing actual physical/emotional/mental pain if the cravings aren't fullfilled. When you break it down, this is how, to varying degrees, so many people live. And even when you've awakened, there's still plenty of this consciousness programming around that can easily pull you in. If you're not careful, you end up sleep-walking through key moments and choices of your life that maintain the energetic ties - the limitations - to the old world consciousness, which you then keep reprogramming - rebuilding. The key to this Higher Paradigm is transcendence: what I witness in myself, and in working with people around the world, is that when you confront the internal patterning that's conditioned by the sense of lack, which ties you to the limitations of the old, if you go right into the very heart of these contractions and challenge their hold on you, then you unleash the soul through these experiences. With the sense of acceptance comes a feeling of lightness, a vibration. If you then open an internal space and give room for this vibration to grow as a sense of rightness in the moment, then the soul expresses ever more strongly. And when you attune to this, by committing to its expression, in every moment, you find yourself actually flowing through the new landscape of the Higher Paradigm in your daily life. You can live this higher frequency - this higher vibe - right now, and it can be highly successful. You can create effectively from the feeling of openness, acceptance, joy, love and the sense of rightness that is the alignment of your soul. The quantum field around earth is more fluid now, and it will create around the synchronicities of interconnectivity. But there also has to be the will, courage, commitment and tenacity of the soul active in you too. You actually have to step into these behaviourisms by deciding it's that way of living and being which fulfills - trusting that if I step into the flow of the quantum field, that it will deliver what is necessary. 1) Firstly, you have to realise what the quantum field is actually doing. I put it to you (and encourage you to explore), that the higher flow is working to reveal you as a being. So when you focus, in any moment, on the actualisation of the highest expressions of yourself, even and especially in all the smallest of things, then the flow itself will connect with these expressions and fulfill them - it will animate and give energy to them; it will create around them. 2) Secondly, it helps enormously to have a sense of the landscape that you're flowing into, so as not to get constantly diverted into the lower consciousness. Because the soul has qualities of empathy, if you inadvertently over energise these, then you'll likely get pulled into other people's control dramas - those of the Old Paradigm. However, if the ways of the new are becoming more important to you, because you're giving them chance to breathe, you'll attune the more defined and focussed aspects of the soul, which will help you commit to staying more in the higher vibe, no matter what is going on. 3) Be prepared to confront where the Old Paradigm hooks you in. It's definitely not about overriding these contractions and tightness, because that just creates the identity of avoidance and a false reality. What's essential is to be so attentive internally that you recognise when these are activating, then to turn right into them. Explore deeply - what is attaching you? What do you think you need in this moment? What can you not accept? By not giving in to the conditioning, but inquiring into the contractive pain, then you normalise in the pain itself. It ceases to hold you. Now you can expand through as the presence of the one, and then unleash soul by paying attention to the emergent energies. 4) When you unleash the soul in these contractive moments, and set it free, pay attention to the new consciousness landscape it wants to create around you. This is where signs, synchronicity and metaphor become so important: you look into the 3D world, but you're working to attune to the higher flow, the patterning of consciousness that is reflected. It builds a story, a narrative, of a new way of existence, which you progressively become a part of. It's a reality based on magic and miracles - which create because of the interconnectivity of the higher flow, which is now animating through you. This 'narrative' has to be fluid though, so as not to fix in illusions. Let it adapt, change and recreate, so you're constantly refining your authentic reality. This becomes a part of the new 5D reality construct that we're ascending to. You progressively witness you're focussing in on it, becoming a part of something much greater, that's already taking shape. Most importantly, this will also create new more aligned situations in the 3D - changing circumstances in relationships, careers and general living circumstances here and now. I had an exceptionally powerful meditation experience recently - one of life's peak experiences - as I was preparing myself for the upcoming PARADIGM SHIFT World Tour. I could feel very clearly all of those in the ether working towards the foundation of the New Paradigm here on Earth. It was visually metaphored as a scene from Avatar, where a group of starbeings were gathered in meditation together, all around us and the earth, working toward the unleashing of the realigning flow. It is a consciousness which is cohesive and respectful of all life, where each has their own individual story, and yet they interconnect so as to create a living 'tribal' harmony. It's a vibration that's inviting more and more people to awaken into; to be themselves, and at the same time, experience being a living breathing part of the new existence. In the midst of it all, I could feel the renewed Gaia, as the tree of life, binding it all together. I could feel the consciousness of the old humanity, the old Homo Sapiens, giving way to an emergence of the new - what I'm given to call "DIVINICUS". I felt to share this amazing meditation experience with you all, of those gathered in the New Paradigm, helping support the realigning flow through our world and establishing the foundation of the new reality construct. I've felt the various 'tribes' gathering for some time, but the sense of cohesiveness and focus was deeply palpable and quite new. It was actually what I'd been waiting for. Now it's there and very clear - something to cheer and celebrate - there's a supportive force guiding everyone home. I love the way in the video (above) Joe talks about people in society "going out there" to create the things they want - moving through time and space. And to me, this is what creates from the sense of lack... "I don't already have it, so I must go out and get it". It's self-defeating and destructive of the environment. But in 5D conscious creation, as he points out, "you become as nothing". "You become the vortex where everything is drawing towards you and creating around you". What a great and essential reminder, awesome video and grounded explanations. The paradox Im discovering/living is that pure consciousness is already there and trying to reach it - to get there - only 'takes you away' from accessing it. So, instead of 'pure consciousness/present moment etc' being another thing to achieve out there in the 3d or 5d (aka spiritual stress), may be its useful to just be aware of ones unfolding of ones experience every moment without creating goals - but receiving, opening and being endlessly curious with all changing phenomena. Being curious how my day today will unfold and at the same time, knowing that its not 'mine' but a stream of phenomena and energy. I loved the video . On a feeling level ,for me,creating in 5 D means holding a deep intent (Holding regular girls circles for example) . When I hold this intent ,I seem to draw to myself all the mirrors as to why haven't been able to do them in the first place. Suddenly I 'see' where my conditioning is tightening me . Where I am disempowered ,where I feel I can't . For me ,it then means working through all of these layers and then again holding the intent lightly. In the case of girls circles ,it took me five years of deep processing several wounds including past life wounds .And yet as every layer was worked through ,new resources and synchronicities manifested themselves. As I follow the trail of bread crumbs within ,suddenly, with very less efforting ,I am leading girls circles and feeling as if I have done something I was meant to. Something that completes an energetic circle within . ( Is this what is authentic expression ?). I am also aware of many things ,like opportunity and sheer good luck falling into my lap with no conscious efforting on my part. Just a willingness to be open.and to feel my way around within and without ,and express authentic beingness as much as I can ( warts and wings and all) .I'm also.almost continually grateful - for the fact that I have time and resources and challenges and so much support . I'm also.aware that every time I process and surrender another layer ,I receive an energetic gift. Several months of deep processing and I suddenly have a piece of land to grow organic veggies on with NO efforting on my part . My process seems to be unearthing and seeing and lovingly dealing with tightness. (Alternating with loads of fun ! )I'm not sure if this is 5 D creating but just felt to share my experience . You raise an essential point there Aspasia - to be careful of efforting to get 5D creative state. What I observe is that we already have that within us, as an element of our natural creative beingness as Human Beings. The problem is, so many are ALREADY efforting to manifest in 3D, so the 5D experience - the Original Human experience - has been shut down. I whole-heartedly agree with you that by bringing awareness into the inner dynamic, then it will progressively open up this expanded creativity once more. I believe it helps by bringing attention to it, so that people might know more of what to look for. At the start of the article the question is "What do you focus on" and I find things go better when my focus is on this supportive force. I used to think I had to make things happen and guess what? That was how my life was.As I began to surrender control to the supportive force things changed and the outer world seems to mirror my inner state . As the inner connections to the supportive force begins to increase I see more evidence of harmony in the outer experience and this has often been after the breaking up of old patterns. Questions I ponder are; Is the 3D experience real and is it our purpose to improve this 3D reality.? or: Is the 3D experience just a mental construct a distortion of higher densities and our purpose to transend 3D and become true to the Soul and step into 5D? or. Can 3D become a mirror image of 5D and thereby reduce or eliminate distortion from 3D so it becomes a much more harmonious place. Are we in the 3D experience to help others or because we have attachment to it? Can 3D become a mirror image of 5D and to reduce distortion? As I began to surrender control to the supportive force things changed and the outer world seems to mirror my inner state . Can 3D become a mirror image of 5D and thereby reduce or eliminate distortion from 3D so it becomes a much more harmonious place. Personally I would say a resounding "yes!" I believe that's what Original Humans were designed (by the field) to embody here and now. But that an intervention skewed the path of humanity and with that the planet. I don't see a sustainable 3D biosphere here on earth in the immediate future because of various tipping points that have now been acitvated - ones necessary to cleanse and realign the 3D from it's quite gross distortion. But I do see the possibility of an integration of 5D consciousness as a way of living and being whilst in the 3D. I believe we can live that now (as I'm sure you experience), but we will have to wait for the Earth to go through a long restorative process if that's to happen here. I know there are other places in the cosmos where this can happen too. When I hold this intent ,I seem to draw to myself all the mirrors as to why haven't been able to do them in the first place. Suddenly I 'see' where my conditioning is tightening me . Where I am disempowered ,where I feel I can't . For me ,it then means working through all of these layers and then again holding the intent lightly. In the case of girls circles ,it took me five years of deep processing several wounds including past life wounds .And yet as every layer was worked through ,new resources and synchronicities manifested themselves. I'm also.aware that every time I process and surrender another layer ,I receive an energetic gift. Several months of deep processing and I suddenly have a piece of land to grow organic veggies on with NO efforting on my part . Awesome - this is exactly what I'm talking about. The only thing to "do" now, is to keep doing it! I felt to address the importance of confronting and breaking cravings in the Shift. What do I mean by this? What's the dynamic? If you're anything like me, I'm finding the noise of the Old Paradigm getting ever louder. It seems there's growing fixation with excessive consumption, excessive entertainment, distraction, denial, deferral and investment in everything physical - especially for the younger generations, even though they're coming in with more awakeness. Society is finding ever more sophisticated ways of hooking people into the system. The system itself is progressively morphing into ever more technologically sophisticated iterations. It appears to be consuming consciousness within it. Another dynamic I witness, is that for a broad group of awakening people, there's still a strong investment in that high-tech reality. Even though many see the disadvantages and the downside, the disconnect from the natural authentic, nevertheless, there's a widespread want and desire for many aspects of the system itself. This dynamic perplexed me for a while. But now more and more, I see the realignment taking place of various waves and groups who'll likely head in different directions to create different reality constructs. I see the strong likelihood of human colonies on Mars for example. I find much discomfort in the possibility, because of the likelihood that the synthetic reality created, would likely be quite removed from the natural authentic, and thereby quite difficult for souls in such realities to realign. And yet of course I also realise that if the being is choosing this journey, then they have something to learn from it. If it's what they're strongly choosing to experience, and there are enough beings wanting that, then it'll likely create. If not there, then somewhere else. The point for those yearning to ascend into a more aligned 5D reality consciousness, one that's more divinely connected to the flow, we're going to have to be increasingly mindful of the noise and distractions of the lower densities - that this is on the increase. Specifically there'll be the control dramas of those around you, for which you may find yourself compelled by aspects of truth - all reality constructs are founded on some truthful inquiry. In working with various people, I'm hearing a pattern where the lower paradigm densities and noise, is drowning out the more subtle frequencies forming in the new vibrations. I'd say there's a question of 'loyalty' and attentiveness building. When you inquire within, where is your true loyalty? There will be many around you, even awakening people, who're still quite invested in the system. Who'll attach to 'healing the Earth' (for example) by reforming society through ever more sophisticated 'sustainable' ways, yet overlooking the fact that the Earth has a natural alignment and balance for ALL sentient life - beyond society - not just for human life. Nevertheless, the arguments are very convincing because there are degrees of truth in them. What I observe this tends to do, is to hook in those who might be on an ascending pathway - loyalty becomes stretched and bent (often by excessive empathy, acceptance and compassion). My encouragement is to work to be really clear with yourself what your soul yearns for. Maybe it is a more sophisticated sustainable yet synthetic reality? If that's the case, then so be it. 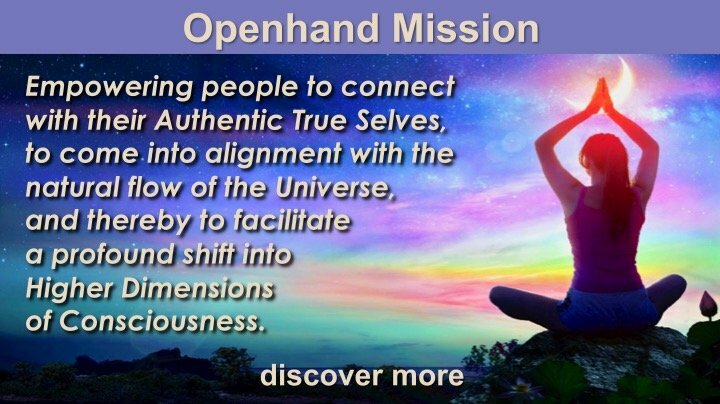 But many drawn to the Openhand work, naturally yearn for the more aligned and authentic way of living and being - one that's respecting and embracing all sentient life. In which case, I can see that it requires increasing attention and embodiment of the higher frequencies - loyalty to soul families taking greater precedence and the vibrations of the New Paradigm that are strengthening day by day. Not that we shouldn't still enjoy the physical - the risk would be to deny key aspects of the soul too. The key here is transcendence - effectively tantra. You embrace the physical experience, and yet feel through it, to connect up the vibrational loop into the higher dimensional experiences and back to the source. A key one, was the need for some kind of physical experiential 'completion'. The less you eat, the more time you have, and the stronger your energetic flow becomes - it invites you to put this extra attention somewhere. Pranic breathing has become essential in that. Increased time in meditation and stillness, feeling the completion within, but also gaining sensual completion elsewhere - the scent of a flower for example, feeling the sun or wind on the skin, or a deeper attention to simple acts of nature around. Of course it's also essential to spend time sitting in the contraction that needs any completion at all - breaking through the feelings of these contractions that can then take you into the Void of Presence. The point being, it's essential to allow the contractive pain, not placate them so much, but spend time inquiring deeply through them - challenging the judgments the mind makes (around the judgment of 'hunger' for example). My encouragement to all on an ascending path, is to really penetrate the increasing noise of the 3D, to work through any contractive cravings and engrossments. The more you work on this, the stronger I find you connect up with the higher dimensional flow, and the sense of loyalty to one's real 'home' and soul family strengthens. It makes it much easier to set boundaries in the 3D and mediate through the various challenges we're tending to experience. It gives you a solid anchor, so we're much less swayed by the machinations and drama of the 3D. Wishing you all well on your continued journey. Not another brick in the wall! Thank you for all the articles you’re posting right now on the Shift. They are very timely for me. Almost everything you’re describing I’m experiencing and witnessing all around me, especially the increasing intensity of the system’s efforts to hook us in. One very revealing example I’d like to share is Facebook. For quite some time, I’ve been very inactive on FB. It just doesn’t interest me any more. Before when I was active, I’d only receive messages from FB when something of actual interest to me would happen, like if someone commented on something I had written. But when I stopped engaging, I saw how it got increasingly desperate to pull me back in. At first quite mildly, but after a while it grew more aggressive and suddenly my email was bombarded with all kinds of notifications of activity happening on FB that I wasn’t even a part of. It constantly reminded me of all the events I was missing, who had done what (like change their profile picture), who had commented on whose photo, etc. One time I had about 20 messages on my email of this kind. I was a bit shocked at first, and thought maybe I needed to change my settings, but then I decided not to change anything just to see what would happen. When it went to the extent of informing me that someone had pressed ‘like’ on a comment of a person I didn’t even know, I had to laugh out loud at the absurdity. The system had become so desperate it was succumbing to less and less sophisticated methods that it eventually revealed itself as the crude manipulative mechanism that it was. It has given up on me now. This experience served as an excellent metaphor, to get me to be more mindful and attentive of this manipulative force around us. I find my greatest challenge right now is to understand how to navigate through it. How to find that light of truth in it. It’s hard when I feel I’m walking through thick grey fog all the time. In fact, I feel more disoriented than ever and my usual breakthrough techniques aren’t working the same way they have been, which is frustrating, especially for the intellect. But even though it feels impossible right now, I know there is a way to master it. It is part of my mission to master it. Right now however, it’s hitting me from all directions, especially through my kids. That’s where my Achilles heel is. It seems there's growing fixation with excessive consumption, excessive entertainment, distraction, denial, deferral and investment in everything physical - especially for the younger generations, even though they're coming in with more awakeness. I don’t mind much about myself, I can hold my ground, but I feel a huge responsibility towards my kids. To harness that special light that they’ve come with and nurture it rather than let society consume it. Being an ‘awakened’ mother, I’m so acutely aware of how the system is already affecting them. As soon as any amount of time is spent outside of my influence, school, kindergarten, friends etc, the effects are overwhelming. Disconnection, stress, hyperactivity, mental fatigue, increased consumptive behaviour, irritability, discontentment etc etc etc. How does this happen? I can actually see many of the blind spots where the hooks find a way in, where clear boundaries aren’t set, simply due to unconsciousness on the parents’ part. Even with the kindest, most caring, otherwise conscious and conscientious parents, this energy seeps in, simply because they don’t see or react to that there is something severely distorted and unhealthy with the system and the ‘gadgets’ and rewards it’s supplying. In their world, this is the only option. And that’s the biggest problem, I think. No other obvious options are available or at least visible. Everything is set up in a certain way that you feel you either conform and try to play the game as best you can, or you become an outcast, which most people don’t willingly choose. There is the illusion that within the system you have a lot of options. Surely something will fulfil you, but only as long as you stay within the boundaries of the system. In other words, becoming another brick in the wall. I feel, as a conscious parent, I have to provide my kids with that other option. Show them something different than what they meet out there. Teach them the value of connecting with nature, encourage them to play alone, set the boundaries no other parents dare to set, and allow things to sometimes (maybe even often) be quiet and boring so they can hear their own inner voice. But most importantly, be the other option myself, as my own inner work continues. I’m grateful I was an outcast all my life. Without that experience, I probably would not stand as strong as I do today, being able to see the things I see, trust in my own instincts, and most of all, be ‘awesomely ok’ with being the minority of One. I hope my children will come to know that feeling too. I read this as I am contemplating going on a two week cleanse which has at it's heart a mono diet of khichri( lentils and rice) . I did this a few months back and while many cravings reduced ,some of them came back. When I do this consciously experiencing my feelings though ,it's far more effective. In my case ,my desire to have desserts has almost disappeared. There could be tubs of ice cream at home and I am not drawn at all. Don't feel like eating cakes etc either. This is a massive change for me because I was even a year back a classic comfort eater . For me many contractions were about body image ,deep grief and unmet childhood needs. As I learn to Be with all these dynamics within ,it gets so much easier. After the cleanse I am hoping to be able to do at least 16 hour intermittent fasting . As you say ,it's about learning to experience satiation without food which is such a conditioned reflex. I'm also mindful to be very very kind to myself whilst transitioning . The very rigid 'dieting' of my younger days just seemed to reinforce the feelings of lovelessness that started the comfort eating in the first place . Learning to see it as a spiral ,helps me a lot ! Hi Megha - thanks for sharing - and yes, the point about being compassionate to yourself is essential too. It's definitely a balance - to walk the middle path. And I observe this happens most effectively with maximum awareness to the feelings - which will involve breaking down self-judgments; these are often the blind spots that cause the issue in the first place. I witness programs lasting a week or two to break certain cycles can be powerful, yes. We just then need to be careful of the 'feast and famine' syndrome - which doesn't seem to have affected you, but indeed it can. I would also say the value of daily intermittent fasting as a way of life, helps to build a sustainable way of living and being, which confronts these patterns on an ongoing basis till they wither and die. I think overall, what will greatly help, is realising the value you get from confronting the discomfort. And initially this can seem illusive. Comfort eating brings an immediate satisfaction. But feeling 'hungry', doesn't necessarily reveal the immediacy of the benefit. You have to go deep into the sense of hunger - to normalise and equalise in it. To stop defining it as 'hunger' and see it as just another experience. 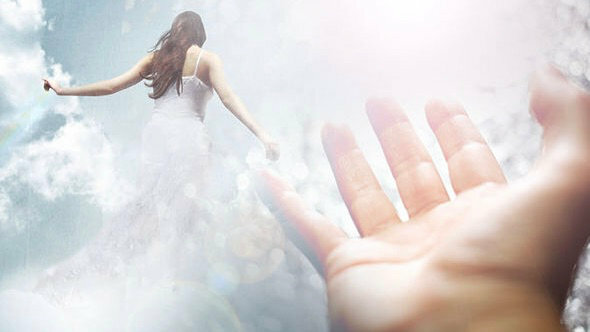 Then to look for the benefits - the sense of lightness and awakeness which you'll feel increasing in the background too. But you have to be prepared for this to take a while before you can feel the lasting effects through daily life - which will be greater awareness and connectivity - greater sense of signs and synchronicity, because consciousness has expanded. But it does take time, and therefore commitment and perseverance. It’s hard when I feel I’m walking through thick grey fog all the time. In fact, I feel more disoriented than ever and my usual breakthrough techniques aren’t working the same way they have been, which is frustrating, especially for the intellect. But even though it feels impossible right now, I know there is a way to master it. It is part of my mission to master it. Yes, indeed, it feels very 'foggy' out there right now! I'm with you on that one. Here's a key thing about the "tried and tested" breakthrough techniques. As the soul integrates through certain lessons, then it's path and emphasis will shift, to learn other lessons. So you'll have to keep adapting your approach. I'd say a crucial key is to spot the 'tightness' - this is where to inquire and explore. So the two words you used which jumped out for me were 'disorientation' and 'frustration' (for the intellect). So firstly, can you be in the disorientation and become okay in it? - to equalise in it and not need it to go away. Maybe then the frustration will ease. But also maybe there's an invitation to shift focus into another plane - if you're working to find an 'anchor' in the plane of the intellect and that doesn't work, then maybe there's an invitation to find a centring anchor on the plane of feelings - in the heart perhaps? So to be in the heart, and without losing that connection, come into the plane of the intellect from there - but not necessarily to push beyond a reasonable boundary - when it gets confusing, work a degree with it, but then let it go. The point being to span between dimensional experiences - you anchor in one, but without losing that connection, you probe into the other. This is how we open the full multidimensional experience by being simultaneously conscious in several at the same time. I was also thinking these days about the "noise" literally and metaphorically of the system. I was trying to see if I could stay with the song on my headphones, which I couldn't hear for a few moments because of the loud noise that the train was making. And how this is also symbolic of how we can lose connection of our inner song / intuition because of the massive loud noise of the external world. I also thought that there are also benefits from this increase in noise and distraction. You can do your own thing, like sing, sigh, dance, and no one will even notice because of the external noise and distraction. It contains 4 essential keys to going with the higher flow - do check it out.